How to drown maggots : "What's that water I can see?" "What's that water I can see?" Standing in the back bedroom of my nephew and his wife's new house, I spotted some water down in the park. 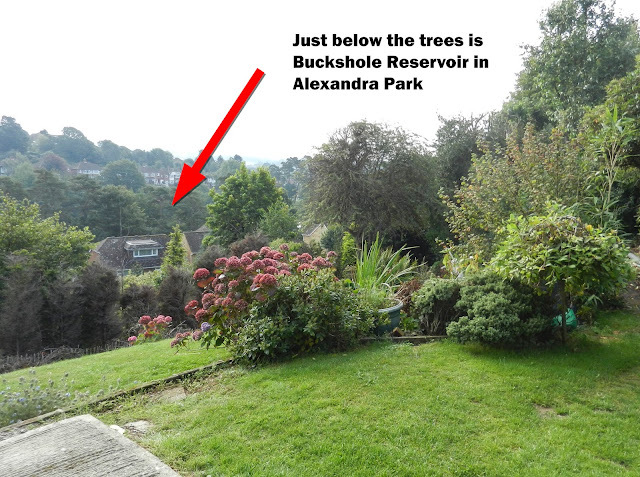 It turns out that unwittingly they have bought a house very close to several expanses of water that are fished! 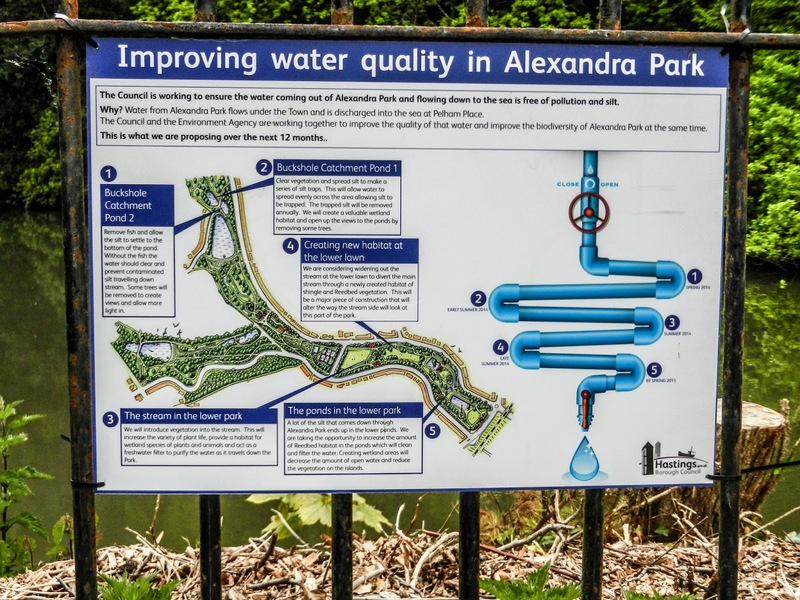 The park in question is Alexandra Park in Hastings. I have driven past the park, possibly hundreds of times, in the past without realising just how big it is and what is hiding amongst the trees. The park sits in a valley. From the garden of the house you can see the trees in the park and the houses on the opposite side of the valley in the distance. The roofs of the hoses below face the park and the reservoir although the view of the water may well be obscured by the mature vegetation that surrounds it. The very top of the park is a wildlife reserve and is more or less left to mature with minimal intervention. A footpath leads from the road down into the park not a hundred yards from the front door. At the bottom of the path a left turn takes you to the nature reserve and a short walk in the other directions takes you down a fairly steep path to the head of the reservoir. At the moment, Hastings borough council are in the process of improving the quality of the water that eventually is discharged into the sea. 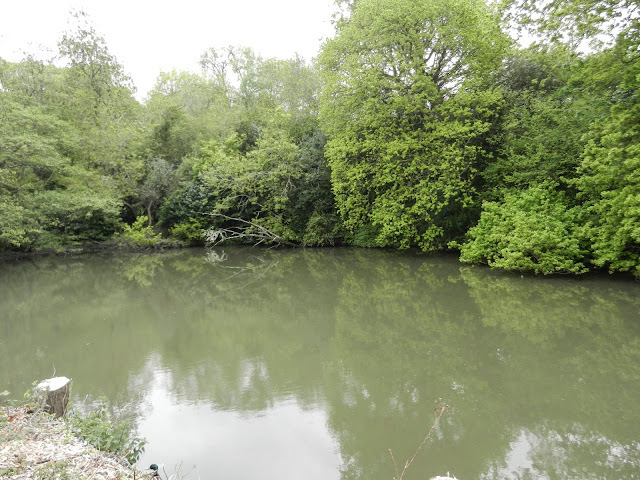 The two catchment ponds that feed into Buckshole Reservoir are allowed to silt up, after having all the fish removed, and the silt is to be cleared on an annual basis. Enlarging the picture above will make the sign readable (providing you are reading this on a reasonable sized monitor!) and it tells the story so far. This sign is fixed to the railings that fence off catchment pond 2 from the path. Catchment pond 2 - no fish! This end of the park looks rather run down. Railings are bent and rusty and the surroundings are unkempt. but work is going on. The trees and shrubs around the in-flow have been cut down recently and there is evidence that something is going on. From the path that runs over the inflow pipe, it is possible to view the length of the reservoir. The 'official' pegs are to the right. 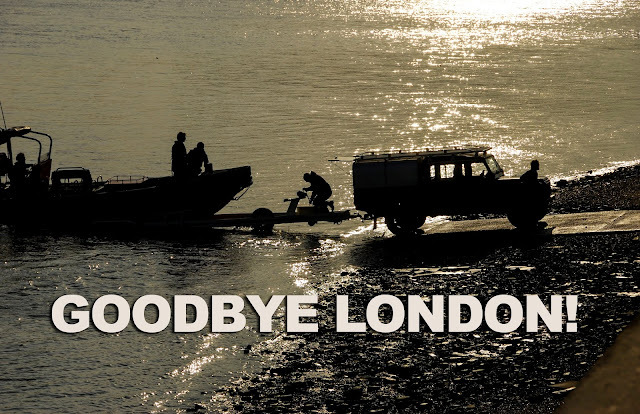 Although the bank is steep on the left-hand side there are places where fishing takes place. At the far end, just out of sight in the photograph below, is a large platform with a gentle ramp leading to it to allow for wheelchair access. The official details state the depth of the reservoir to be 25 feet. However, the guys we spoke to, who have been fishing it for decades say is is far shallower than that at around 16-17 feet. The pegs on the opposite side of the reservoir are substantial and in good order... Caught anything? No. A few hundred yards from the reservoir is Harmers Pond. This looks like a much better bet for a day's fishing. 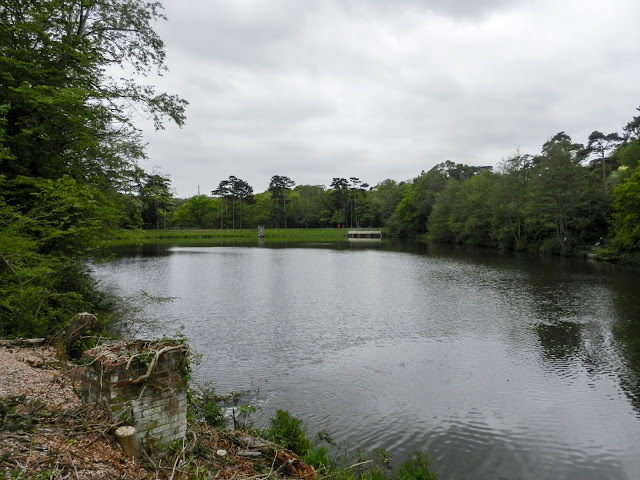 Recently refurbished, this pond has several well maintained pegs along one side. There is no access to the other side so it can be fished straight across to get all those big ones hiding under the overhanding trees. Day ticket prices seem reasonable and are sold on the bank.